There is a fire in the classroom. At the time, there were two students in that burning classroom. One died and one was taken to the hospital unconscious. Some say it was suicide and some say it was murder. Detective Eun Sup is staking out while the student is dying before he gets called in on the site. He witnesses the most terrible thing there. 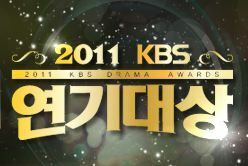 The drama is 8th part of KBS “Drama Special” (드라마 스페셜) miniseries season 2.